Public health efforts in California over the last two decades have succeeded in clearing the air of tobacco smoke in workplaces, restaurants, bars and many other public places. But for those who reside in multi-unit apartment complexes, the home is not always a smoke-free zone — even if they want it to be and even if their health suffers as a result. 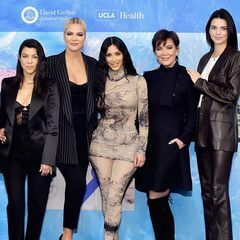 With a $3 million federal grant from the U.S. Centers for Disease Control and Prevention (CDC), the UCLA Center for Health Policy Research in the public health school is leading an initiative to change that reality for low-income Latino and African-American families living in L.A. The UCLA Fielding School of Public Health team, in partnership with the grassroots group Smokefree Air for Everyone (S.A.F.E.) 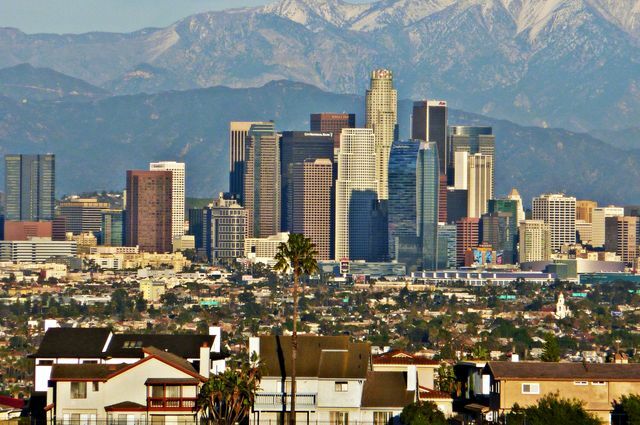 and a host of other public- and private-sector organizations, is spearheading a comprehensive community action plan to reduce exposure to smoking in Los Angeles apartment buildings. 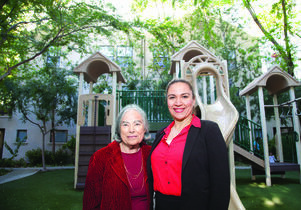 Esther Schiller and Marlene Gomez work on the UCLA Fielding School of Public Health's initiative to reduce exposure to smoking in Los Angeles apartment buildings. That’s home to many low-income Latino and African-American families, two groups at particularly high risk of suffering the effects of secondhand smoke exposure. 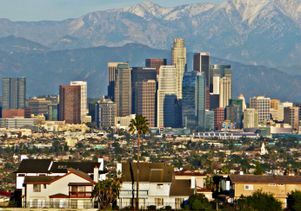 In L.A., 56 percent of Latino households and 54 percent of African Americans reside in multi-unit buildings. The UCLA team works with landlords and tenants to adopt voluntary non-smoking policies while increasing opportunities for smokers to join smoking-cessation programs. The public health school is developing this project as part of the federal Racial and Ethnic Approaches to Community Health (REACH) initiative to reduce chronic diseases, promote healthier lifestyles, reduce health disparities and control health care spending. The REACH initiative in L.A. is focused on parts of the city with the greatest need. “These are areas with high rates of chronic diseases and respiratory conditions, and where options for housing are limited,” said Peggy Toy, director of the REACH project and the Health DATA (Data, Advocacy, Training, Assistance) program in the UCLA Center for Health Policy Research. The CDC estimates that 2.5 million nonsmokers have died from health problems caused by exposure to secondhand smoke since 1964, the year of the U.S. Surgeon General’s landmark report on smoking and health. For adults who have never smoked, secondhand smoke can cause heart disease, lung cancer and stroke. For children, exposure has been linked with ear infections; more frequent and severe asthma attacks; respiratory symptoms such as coughing and sneezing, shortness of breath; bronchitis; and pneumonia. While secondhand smoke exposure has decreased over time in the U.S. population as smoking rates have declined, tenants in apartment complexes and other multi-unit housing remain vulnerable to tobacco smoke traveling through walls, windows and electrical fixtures. In her past work as associate director of the grassroots group S.A.F.E. from 2004 to 2013 and present assignment as REACH project manager, Marlene Gomez, an alumna of the Fielding school, has met tenants who are bothered by smoke drifting into their unit but feel powerless to do anything about it. “Often, they don’t know how best to address the issue with their landlords, or they are concerned about whether they have a right to complain,” she said. In other instances, Gomez noted, tenants find they cannot obtain protection from drifting secondhand smoke because they live in properties that are under rent control. The rent control law prohibits landlords from making changes to existing leases. “It can become a nightmare for those who can’t afford to live in a single-family home and find that it’s not feasible to just get up and move,” Gomez said. In addition to engaging tenants, the REACH project makes the case to apartment owners about the economic advantages of going smoke-free, including potential discounts on insurance and reduced maintenance costs. While many apartment owners are aware of these benefits, they are concerned with protecting the rights of tenants who do smoke and are uncertain about how to implement smoke-free policies without violating existing lease agreements, Gomez explained. Rather than promoting a combative environment, the REACH project seeks to bring together tenants and landlords. “Our aim is to educate and facilitate the adoption of smoke-free housing practices and policies in a way that preserves tenancy and enables people who do smoke to access the services they need to quit,” Toy explained. Following the approach of the Health DATA program, the Fielding school team provides the resources, expertise and training to build the capacity of partner organizations to successfully carry out the initiative. For example, CD Tech Community Development Corporation, a nonprofit organization based in South Los Angeles, is assisting with tenant education. The LAUSD’s Student Health and Human Services division is conducting home visits to families of students vulnerable to secondhand smoke because of asthma and other conditions. The Apartment Association of Greater Los Angeles offers technical assistance and outreach to landlords who want to go smoke-free, while the Oakland-based law and policy group ChangeLab Solutions is tailoring educational seminars for apartment owners on implementing smoke-free practices within the law. Other partners working with public health school include the Los Angeles County Department of Public Health, David Geffen School of Medicine at UCLA, USC Tobacco Center for Regulatory Sciences in Vulnerable Populations and American Lung Association in California. Esther Schiller, who founded S.A.F.E. after she won a well-publicized workers’ compensation case stemming from her exposure to secondhand tobacco smoke in school, said the organization began focusing on getting smoke out of multi-unit buildings more than a decade ago. Now Schiller is serving as lead strategic consultant to the Fielding school’s REACH project and works with Gomez, who believes the time is right to act on this issue. 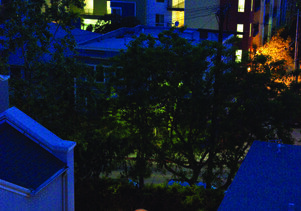 This is a condensed version of a story that is running in UCLA Public Health Magazine. Read the complete story here.